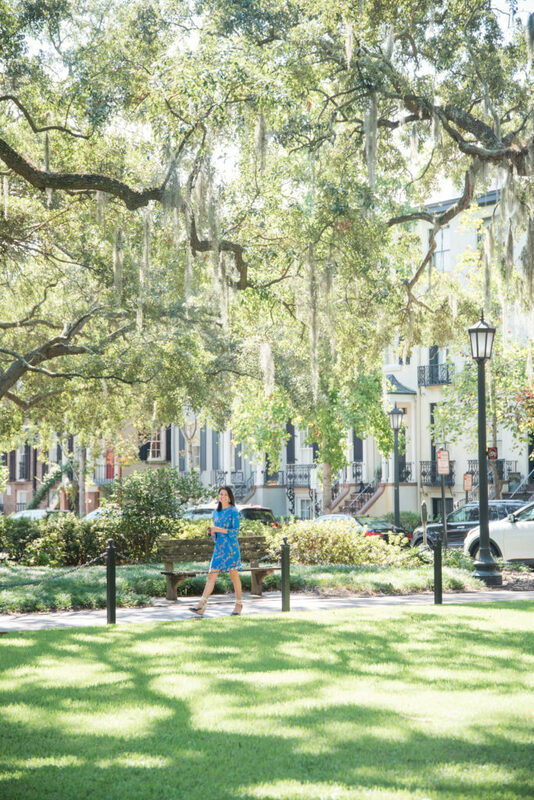 The oldest city in the state of Georgia, Savannah is also one of the prettiest. Known for its manicured parks, horse-drawn carriages, and antebellum architecture, it’s a must-see for anyone traveling down South. 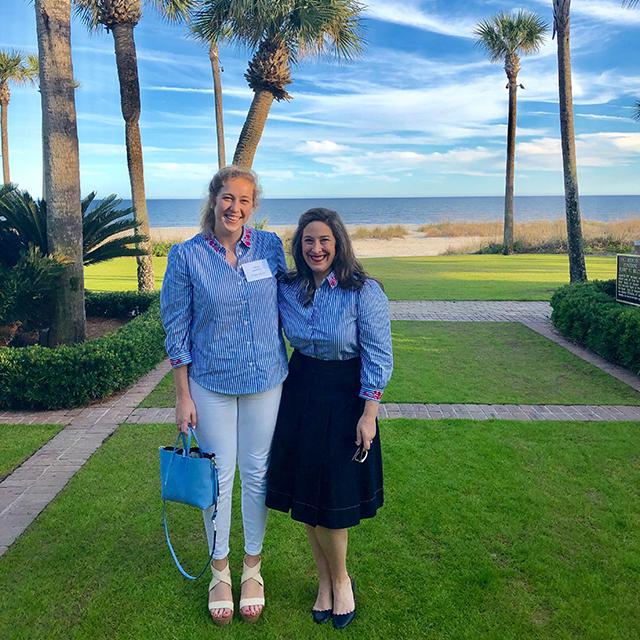 We asked lifestyle blogger Monica Lavin from Lavin Label, who balances her time between Savannah and nearby St. Simons Island (read her St. Simons Island Guide here), to show us her can’t-miss spots so you can make the most of your next trip to this charming town. 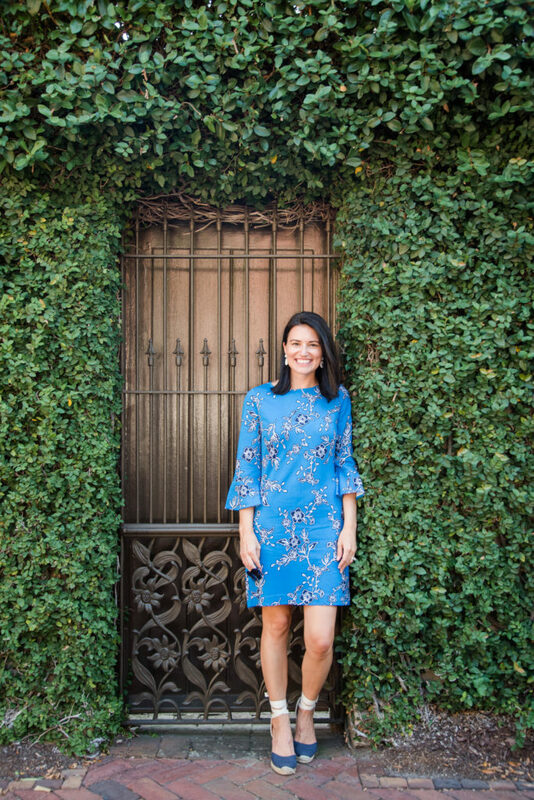 Like many Southern towns, Savannah can be warm, even in the fall, so Monica chose to show us around wearing our Geranium Floral Bell Sleeve Dress. 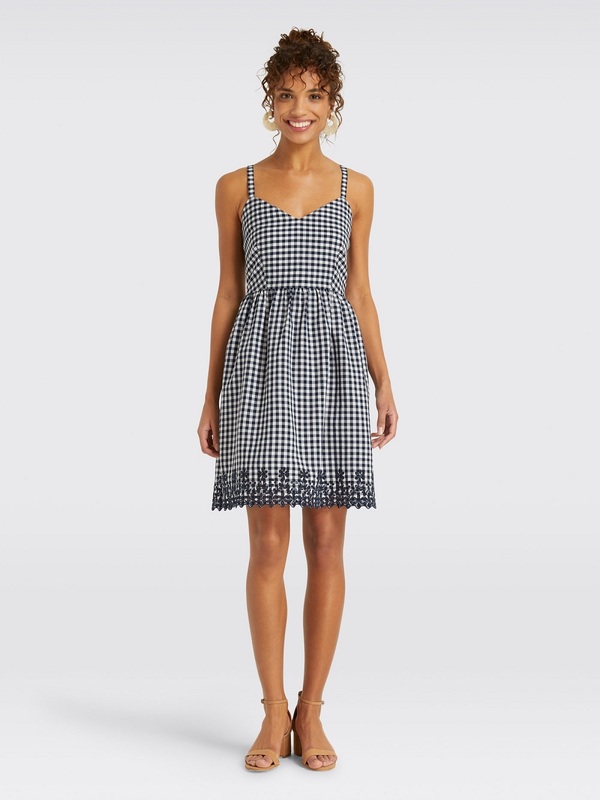 “It was just right for my day in Savannah,” said Monica. 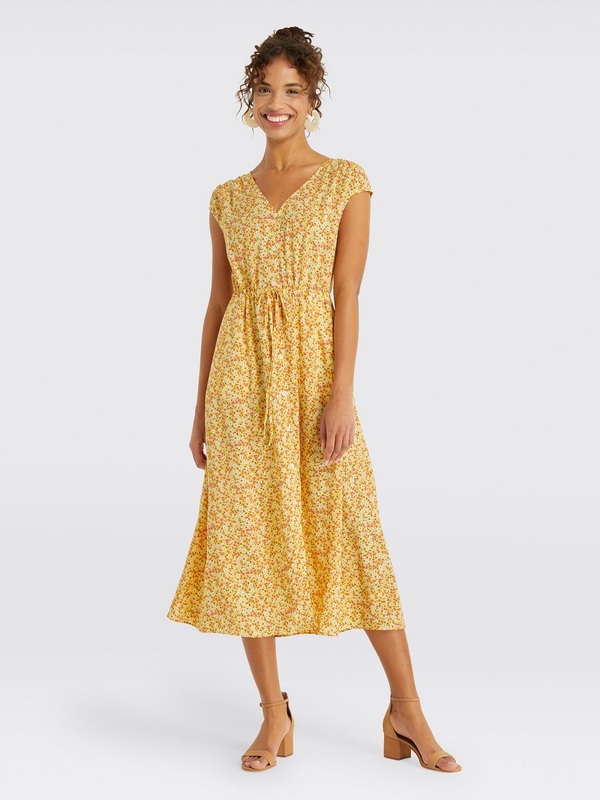 “The light-weight fabric is perfect for walking around the city squares or admiring the famous homes on Jones Street.” Monica suggests pairing the dress with a pair of flats or wedges depending upon your plans in the Hostess City. 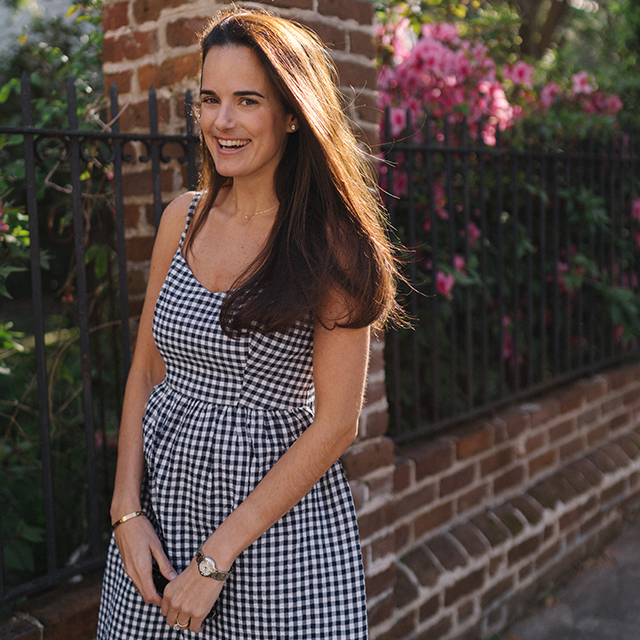 Read on to discover Moncia’s favorite places to stay, eat and shop in Savannah. Perry Lane Hotel. 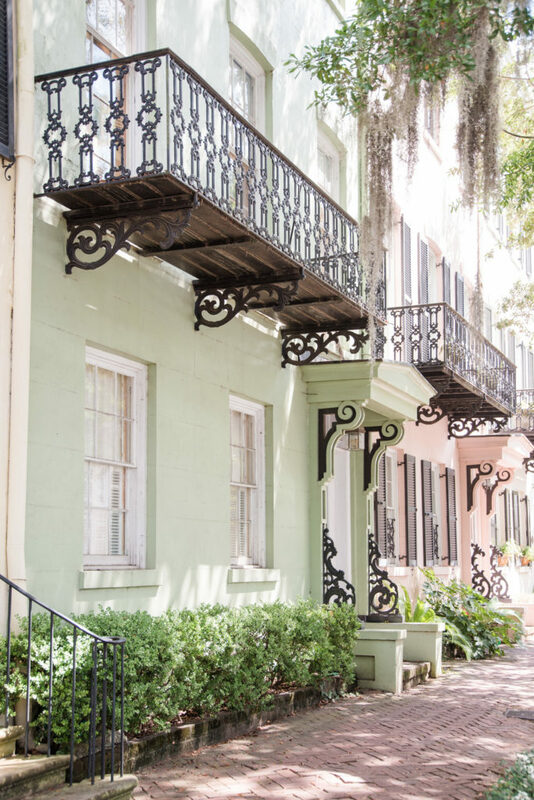 Perry Lane Hotel is one of Savannah’s newest boutique properties. Head to the rooftop bar, Peregrin, for amazing views of the city or grab Sunday Brunch at the Emporium. Mansion on Forsyth Park. The Mansion at Forsyth Park is a beautiful luxury hotel with views of the iconic Forsyth Park. Sign up for their Farmer’s Market cooking classes offered on Saturdays for a true Savannah experience. Artillery. My favorite spot in town to grab pre-dinner drinks is definitely Artillery. The building itself is a sight to be seen with the original terra cotta facade that dates back to the 1890’s. The artisan cocktails are pretty good, too. Arts Cafe. 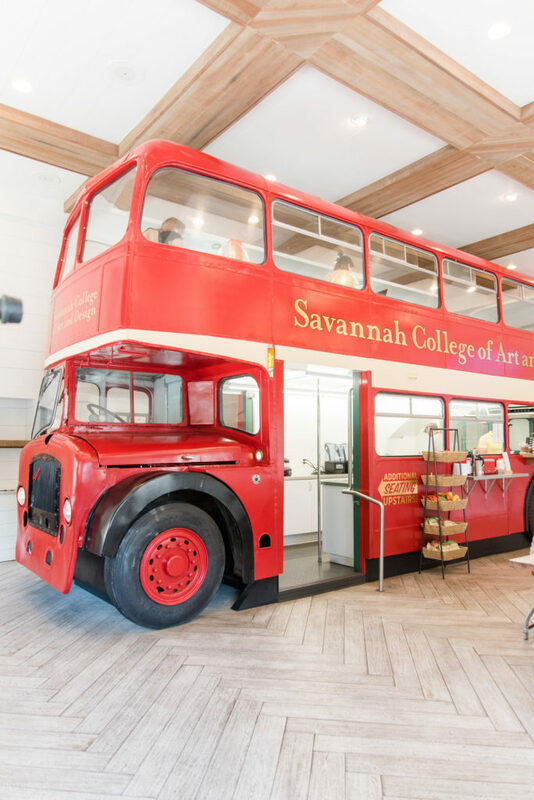 Stop by SCAD’s Arts Cafe in the morning for a smoothie and catch up on some work while sitting on the top level of a double decker tour bus. 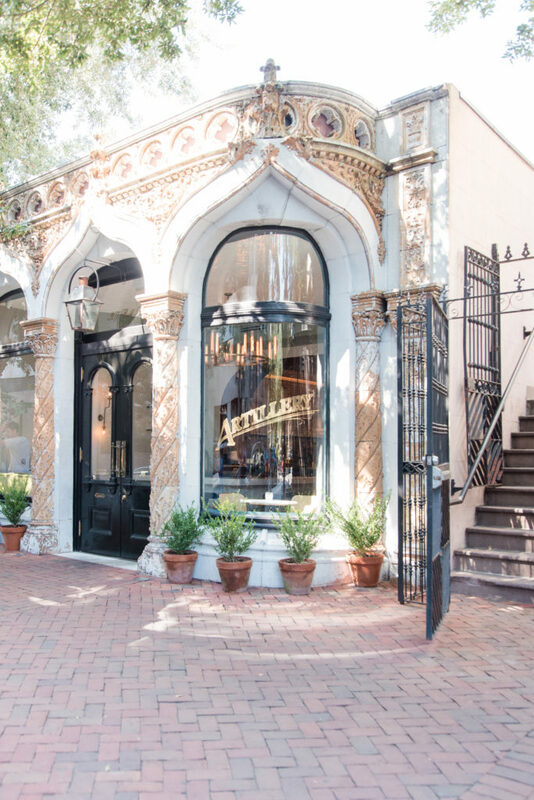 This whimsical, creative space is a perfect spot to catch a glimpse of SCAD’s design impact on The Hostess City. Collins Quarter. Well-known for their brunch menu, Collins Quarter on Bull Street is a favorite dining option for locals and visitors alike. They also have a walk-up window for drinks on the go and it’s the perfect spot for people and dog-watching. Husk Savannah. Also located in the heart of the Savannah’s Historic District is Husk, a restaurant by James Beard Award Winning Chef, Sean Brock. Here you’ll find some of the best Southern fare and cocktails around. Number Four Eleven. 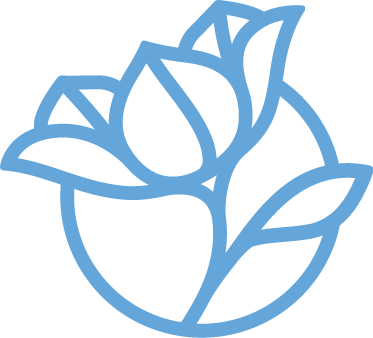 Number Four Eleven is a luxury linen and interiors shop specializing in bespoke embroidery. I’m obsessed with their beautiful embroidered napkins, towels and throws. 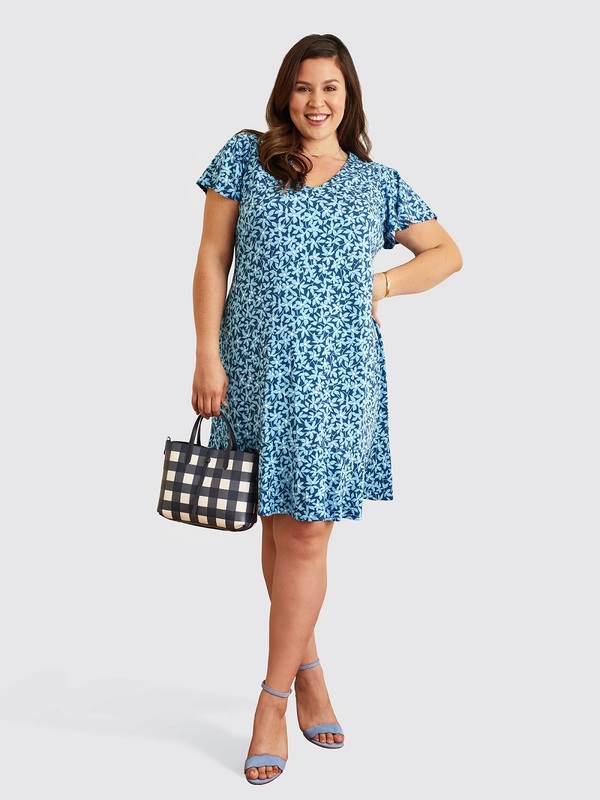 Emily McCarthy Shoppe. 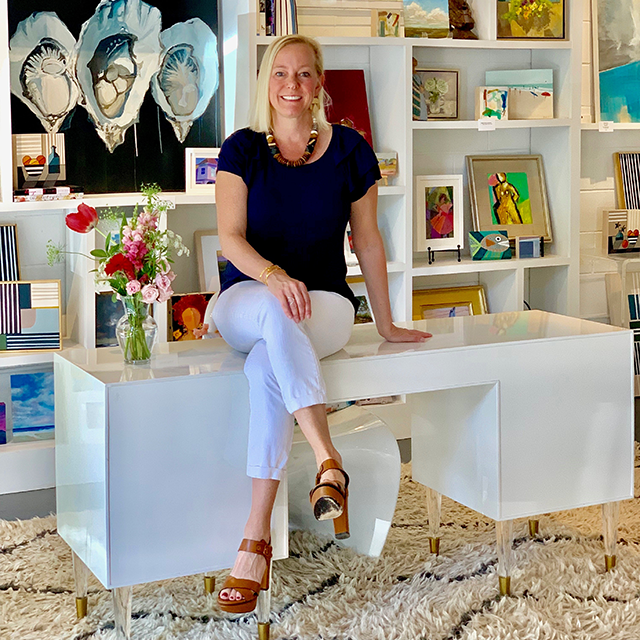 Voted Savannah’s Best Gifts and Stationery Store, Emily McCarthy’s shop on Abercorn Street is a must. You’ll immediately fall in love with her signature style entertaining essentials and custom monograms. One Fish Two Fish. One Fish Two Fish is a unique boutique located on Whitaker Street. Stop by for a colorful selection of gifts, home accessories, jewelry, and home decor. The Paris Market. 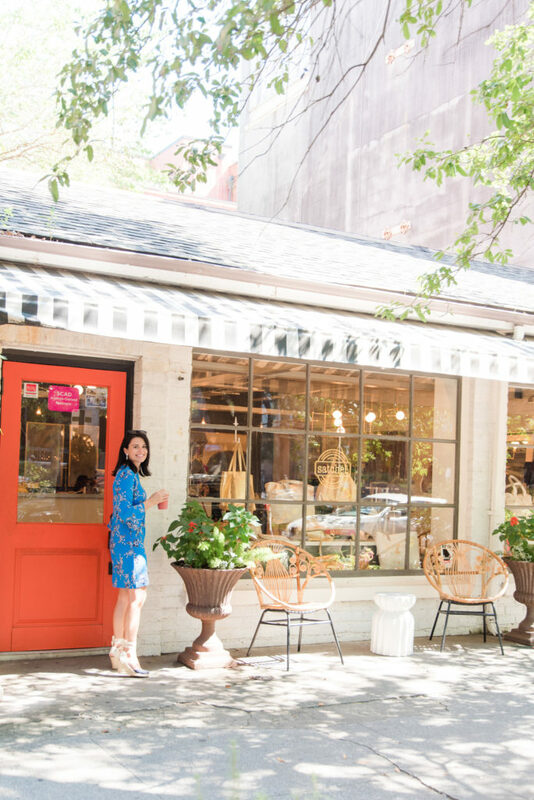 Arguably one of the most beautiful shops in the south, The Paris Market is a must-stop shop in Savannah. I love to pop in and explore all of their well-curated treasures. No doubt you’ll leave inspired to create something beautiful. Satchel. I love Satchel for their high-quality leather goods made in Savannah, Georgia! 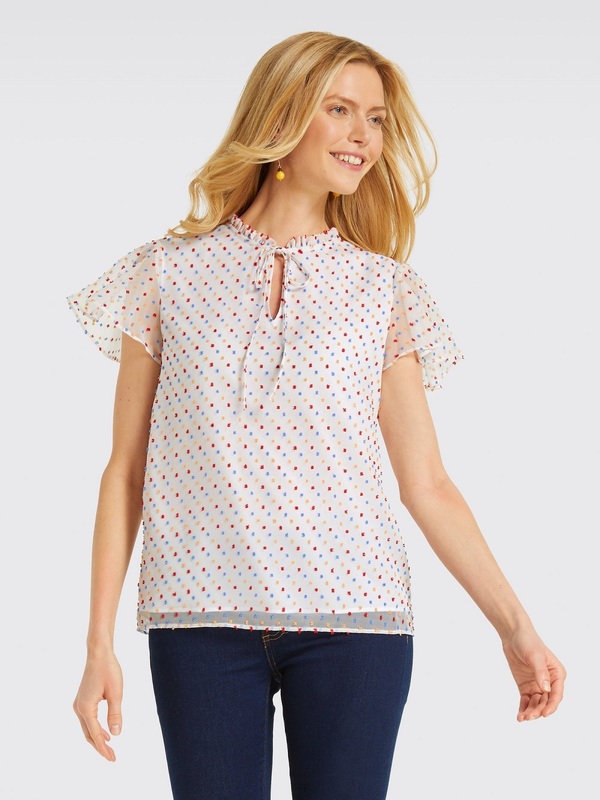 Located on the corner of Bull and Liberty Streets, stop in Satchel and peruse their ready-made goods. The open floor plan of the shop allows you to see the talented artisans at work. Images by Tamara Gibson Photography.